We know that raising a kid is a hard thing to do, especially when you’ve run out of ideas when it comes to toys and birthday gifts. That becomes even harder when you have a four-year-old boy that would like a gift almost every time he feels like he wants a new toy – not only on his birthday. Therefore, to help you with this matter, we will provide you with eight cool gift ideas for four-year-old boys and we hope they’ll come in handy next time you don’t know what to get him. What’s better than a little education during his playtime? With this fishing set, your kid will learn almost everything he needs to know in order to become a great fisherman one day. Not to mention that if his dad is, by any chance, occasionally fishing, this gift will make both of them extremely happy. Besides the required fisherman vest, this set comes with a tackle box, three worms and three fish, and, of course, a fishing pole – and a fishing net for rough fishing conditions. This will help your kid get his daily dose of exercise and improve his hand-eye coordination as well. Kid tablets have been, for a long time, the main way to teach your kid a lot of interesting new things. This Little Apps Tablet has a screen with changeable colors, letter buttons so that your four-year-old gets familiarized with them early on, and also a piano keyboard with numbered keys. This one falls perfectly in the Christmas gifts category because of the 12 learning activities it has included that will keep your kid busy for a long time. 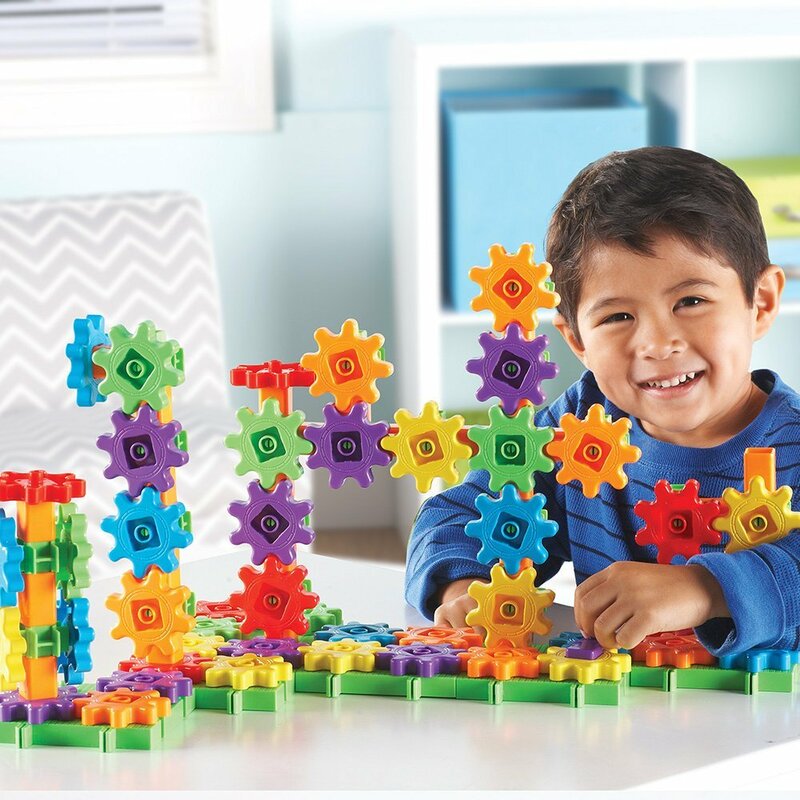 Also, those learning activities have progressive learning levels so that your four-year-old will learn new things every time he plays with it, while having fun as well. That’s why this car pack is the best choice if your kid is a car lover or you think of gifts for your friends that have a car-loving kid. The pack contains nine vehicles that are randomly selected and assorted before being packed. A surprise for you and for your kid as well. Besides loving to play with the toys they have, boys also find disassembling them quite interesting. Not just once, you’ve been faced with pieces of a toy laid down on the floor, waiting for you to put them back together. Well, why not give your four-year-old the chance to assemble and disassemble his own toy car without the risk of breaking any components? With 30 pieces of interchangeable car parts, and with a car that can be entirely disassembled, from the tires to the engine, your kid will have a blast while getting his car ready to race. This pedal-powered trike that comes in different models can definitely make your kid the coolest one on the block. A trike is the best choice if you want your kid to exercise more, instead of staying indoors all the time. Also, because of the big-foot pedals, you won’t have to worry about his feet slipping off and getting hurt. The handlebars are also designed with an easy-to-grip pattern so that he will be in full control of the direction at all times. Also, because after so much effort it’s important that the kids stay hydrated, this trike has included a very secret compartment under the seat that can easily store a bottle of water and some candy. Very important for children is that they get enough exercise, so that their bones and posture can properly develop. A good choice that can help with both of the mentioned things is a scooter. Roaming through the park almost all day long and while also standing up will improve his resilience and physical condition. And if you fear that he may fall off, then rest assured, because this scooter from Razor has a 3-wheel design that increases the scooter’s stability and ensure a much smoother ride for your kid. The low deck of the scooter means that he will get on and off much easier, and the large wheels will make sure that no pebble stands in the way of speed. This smartwatch has the ultimate suite of activities you can offer your kid. It can do almost everything an adult smartwatch can do — from simple hour display to calendar, calculator, games, action challenges, voice recorder, and even a video camera. And we didn’t name everything it can do! Your kid can add filters and effects to the photos he takes, can do simple math with the help of the calculator, can set an alarm if you want him to remember something – and probably the best feature is that is has a Li-Ion rechargeable battery, and that means no more stocking on triple A’s for your kid’s toys. You might remember jumping on a pogo stick as a kid and ending up with more than one bruise at the end of the day. Yup, they were one of those harsh toys, but one that just kept on giving tons of fun and enjoyment. Now, you can give your kid the chance to experience the classic pogo jumping with this improved and safer pogo stick. It is safer because the base of the pogo stick is now made from soft and durable foam. The grips of the stick are also made out of foam, are comfortable, and provide a great grip so that your child’s hands won’t slip off. There’s nothing more rewarding than giving a gift to a young child. The joy on their faces will surely make you happy as well, but the big question is, how do you pick the perfect gift? Whether it’s for your own kid or for a friend’s anniversary, you have to come up with the best you can. Instead of turning this into a stressful task, focus on following a set of rules that can help you make a satisfying choice. If you have a child, you might be more familiar with this subject, but if you don’t and you still have to buy a good present, you might find yourself a little overwhelmed. 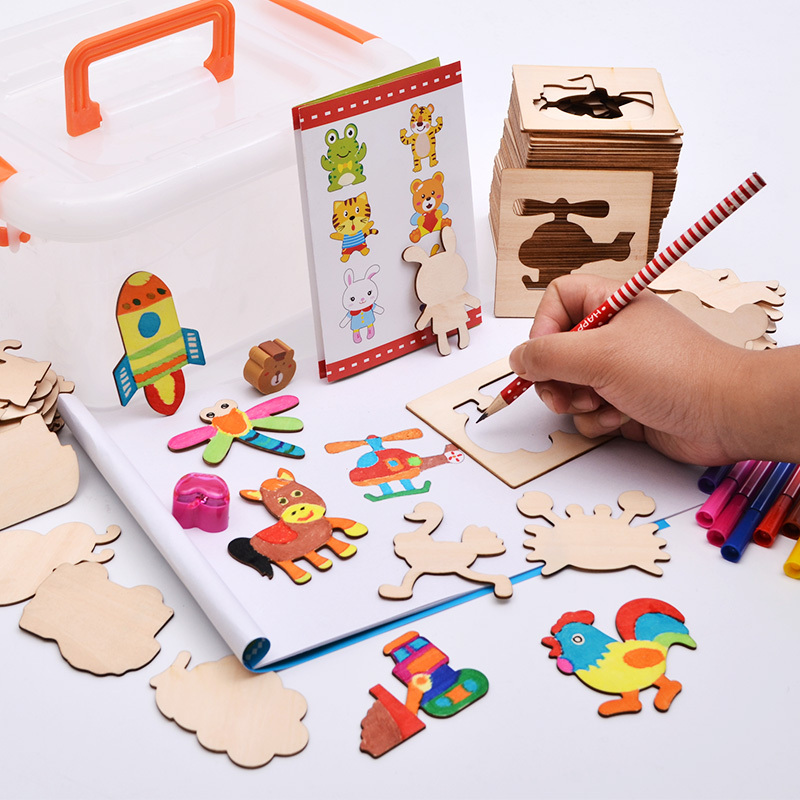 In this market that’s overflowing with all types of toys, board games or arts and crafts projects, finding the best toddler gifts is quite a challenge. It’s understandable if you think you are in a difficult situation, since making the wrong choice isn’t a pleasant option. Thankfully, we’ve done your research for you and we put together a comprehensive buying guide to help you browse through all the alternatives available and pick a gift that’s not that just perfect for any kid, but is perfect for your 4-year old. Kids aren’t that complicated after all. You’ve got the age factor all figured out and, thankfully, somebody already thought about what they would want and enjoy according to their age group. All you need to do now is make sure the present you buy caters to your kid’s interests and provides a fun way of spending his time. If you follow our tips, there’s no way you could go wrong, since we went through a lot of toddler gifts reviews and certainly know a thing or two about how to pick one they will surely enjoy. Kids around this age have very particular interests, boys especially. It won’t be hard to figure out what they want after you observe their routine or the way they like to spend their time. If you don’t have much time, going for the usual toy truck or train might be a quick solution that will fit most toddlers, but if you want to experiment there are a lot of other options waiting to be discovered. For example, you can stimulate their creativity by getting them a game that requires their attention and effort. Look for projects that encourage children to develop skills, since at this age they can learn from anything. Speculate on every interest shown by them, whether it’s science, astronomy or mechanics, you never know how much you can influence their later development. The best gifts for 4-year old boys are the ones that fully engage them in the process of discovering the world around them and adapting to it. Don’t forget children at such a young age are prone to accidents if left unattended. The last thing you would want is to buy them an inappropriate toy that would to them unwillingly hurting themselves. The obvious way of avoiding this would be to carefully check the receipt on the product before buying it, making sure it is appropriate for their age. Most children’s toys have such specification for this exact reason. If you want to take further precautions, stay away from toys with small detachable parts, especially ones made of colorful bits of plastic since they will most likely attract the attention of young children who will try to swallow them. In order to make sure that the gift you intend to buy won’t cause any accident, the safest route would be to ask the parent beforehand, since they know their child best, they care for his safety and will know how to advise you on this matter. Kids these days face the pressure of premature adulthood forced on them by a rushed society that doesn’t enjoy the little things anymore. Ever noticed how most of the children’s games for sale seem to mimic adult behavior? Toys and gifts for 2-year old boys definitely shouldn’t force them to act like adults. If you don’t want to take part in this, you always have the choice of buying the classic stuffed animal. Chances are they’ll love and will cherish it years after they’ve grown up. You should also consider toys that encourage children to practice sports and thus promote a healthy lifestyle. Keep in mind though that they should be age appropriate and they should keep in tone with their current environment. Getting a hop and squeak jumper for a child who lives in an apartment block is probably not a good idea. If you want to make sure your gift will be an absolute hit, a safe route would be to check out their icons. Kids at a certain age probably watch tv and probably enjoy certain characters. These things come and go out of fashion all the time so don’t rely on something you heard a couple of years ago. Turn on your tv, watch a couple of kid’s programs and see for yourself. Chances are somebody already thought of this and produced a line of merchandise inspired by their favorite cartoon. Whether it’s a new backpack for kindergarten, a pencil case or even a T-shirt featuring a photo of their favorite character, they most likely love it. Finding quality gifts for kids certainly isn’t easy in a market where everybody tries to speculate on your lack of knowledge on the subject. If you want to make sure you’re not fooled by the many competing manufacturers, you must follow our set of rules to guide you on the path of finding the perfect gift. It’s easy to buy gifts for kids once you have a starting point. Draw inspiration from their everyday reality and make sure to buy something that will sparkle their imagination, since this is their most valuable asset and we certainly want to encourage them to experiment with it.